In order to make home made cosmetics and personal care products you are going to need some equipment. Much of it you can buy from catering supply shops, lab equipment stores or suppliers of your raw ingredients. Below is a list of the most important things you need in order to start making products safely. Bain Marie and heat resistant bowls – A Bain Marie or a water bath is important for making lotions and balms as it will allow you to control the temperature at which you heat your formulations. For making creams or lotions you will need two pans and two water resistant bowls that can fit in the pans. They should not be too small to touch the bottom of the pan. Alternatively you can use a few tins at the bottom of the pan to keep the bowl off the bottom. You can read more about Bain Marie method here. As stated you will need heat resistant bowls, and in order to make samples large enough it would be better for them to hold a minimum of 1 litre. Your bowls should also not be too wide. They need to be narrow enough to allow the blender shaft to be covered by the emulsion/liquid. You can always use an electric slow cooker and two heat resistant bowls to make a bain marie. It is important to have a few different scales. One that can measure smaller amounts of materials for sample sizes and another to measure larger batches. You can pick up cheap jewellery scales from Amazon. Ideally they should weigh minimum 0.1g but you can get some that go as low as 0.001. Some good precision scales are CB 1001 or the Kern EMB 500-1 which you can get from here. Or if you don’t want to spend so much you could try something like this jewellery scale. For larger batches you can use standard digital kitchen scales. Thermometer – You will need a few of these to ensure that your water and oil phases reach the correct temperature range. Standard glass ones are fine. Disposable pipettes – probably the easiest way to measure out small amounts of liquids is with a pipette. You can get them from here and here in the U.S and here in the UK. Mixing and weighing vessels – You will need vessels for weighing different types of ingredients. For powdered ingredients you will need a weighing boat, plastic shot glass or even silicone or paper cupcake cups. You will also need some small glasses for measuring more corrosive materials like essential oils and highly acid/alkaline ingredients. Make sure you have a selection of different sized larger containers measuring from 200g to 1-2ltrs. Some people prefer glass and others plastic. I have a selection of both. I also have large glass bowls for microwaving butters to melt them when I make soap. o get a small hand held milk frother in order to work in smaller quantities. If you want to make body butters having a hand held Blender with a balloon whisk might come in handy or a stand mixer. Having a dough hook will come in handy too. I really like the Waring brand of immersion blenders which come in different price ranges and for both home use and professional kitchen use. Stirring rods, spoons and spatula. Containers – Glass jars and bottles are good for storing small amounts of products especially if they arrive in plastic bags. Plastic jars and bottles are a good choice for storing your finished product. You can buy them from various online shops. Google ‘PETG jars /bottles or amber / clear glass Winchesters / medicine bottles. You can get pharmaceutical bottles and jars with bakerlite caps with inbuilt leak resistant cones inside which are fool proof for any liquid based formula or ingredient. Microwave Baby bottle steriliser – this will come in handy for sterilising your utensils in the microwave. 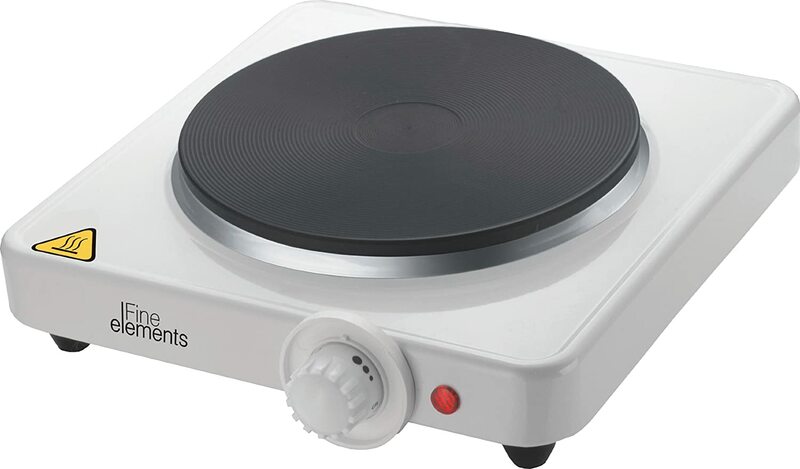 Hot plate or hob – If you don’t want to make your products in a kitchen you might want to get hold of a few hot plates in order to heat your products to the right temperature. Soup Kettle – I have a number of these. they come in handy melting my wax for candle making as well as making water free butters, scrubs and similar products. Goggles to protect your eyes (not really necessary for lotion making but critical in soaping. Cellophane or tin foil are needed for covering the water phase when heating to help stop evaporation and water loss whilst heating your water phase. Dust mask to protect your lungs from powders like clay and powdered surfactants which can be very irritating to the respiratory tract. Pen and paper – or note pad to record your formulations as well as the processes you followed.